Remember All That? Cast members from the ’90s Nickelodeon TV show recently reunited on MTV2’s Wild ‘n Out, TVGuide reports. A variety comedy show, All That showcased young performers in scripted, improv, and musical sketches. 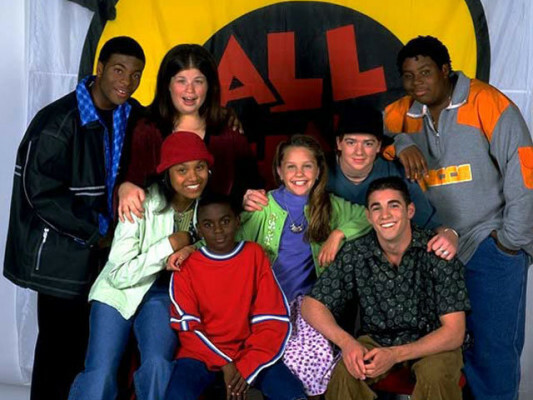 The series ran on Nickelodeon from 1994 to 2005 and over the years starred Kenan Thompson, Kel Mitchell, Josh Server, Lori Beth Denberg, Amanda Bynes, Danny Tamberelli, Nick Cannon, and Jamie Lynn Spears. What do you think? Did you watch All That as a kid? Will you watch the cast reunion on Wild ‘n Out?